Dublin Cycling Campaign took the lead role in making a submission to The Commission on the Future of Policing in Ireland in response to its call in seeking consultations with the public. We are thrilled that An Bord Pleanála has approved the proposed development of a pedestrian and cycle bridge crossing the River Shannon in Athlone. The decision was made on 31st October 2017. Cyclist.ie, made detailed submissions to An Bord Pleanála supporting the proposal and we are delighted it has now progressed through planning. One of our submissions is below. For all of our members who helped out with the site visits and fed in to our submissions, we say *A BIG THANK YOU*! The next stage is, of course, securing funding to get the bridge built … and that is where more advocacy work is required! Keep in touch with us if this is an area of cycle advocacy that interests you! Note: the image shows the location of the proposed river crossing. More anon on the details of the bridge and links. We were pleased to meet so many cyclists at the Show. We took the opportunity to explain what we are trying to achieve for everyday cyclists among a mass of sports cycling types. It was good to meet up with Phil Skelton of Stayin Alive at 1.5 who also had a stand at the Show. 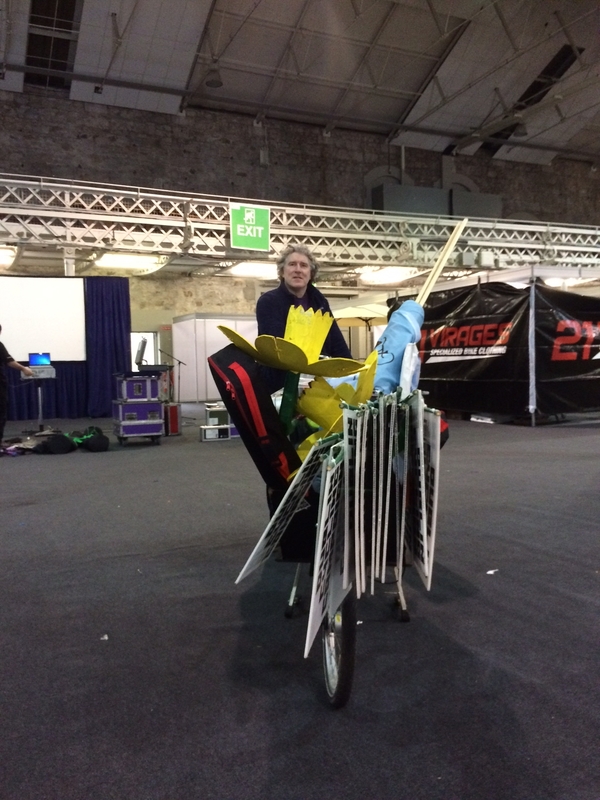 It was interesting to note that we brought all the materials for our stand in the Dublin Cycling Campaign’s cargo-bike whereas all the other exhibitors came in trucks, vans and cars! 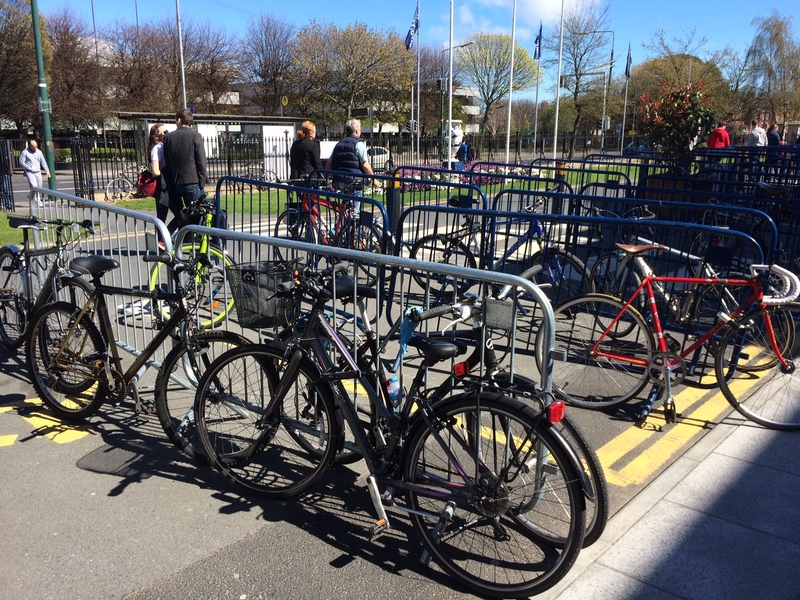 It was sad to see so few visitors arriving by bike judging from the small numbers of bikes secured to the racks in front of the RDS Main Hall entrance.